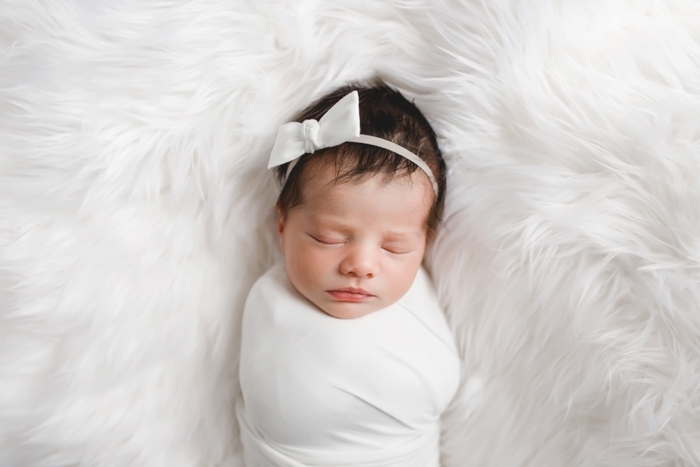 Inspiration- The inspiration for this session, and all of my newborn lifestyle sessions, is LIGHT and LOVE. 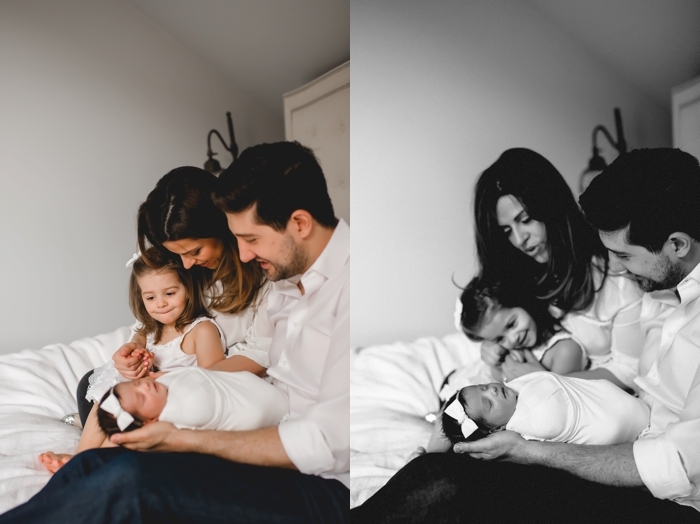 I really enjoy capturing newborns at home; I feel like everyone is more relaxed and at ease in their own environment, which allows me to capture authentic moments and interactions. Their home was beautifully decorated with simple and neutral items and had gorgeous natural light throughout which helped create an airy and soft environment. Favorite Element- It is so tough to choose one favorite element from this session! Every member of this family was so sweet and I loved working with them. 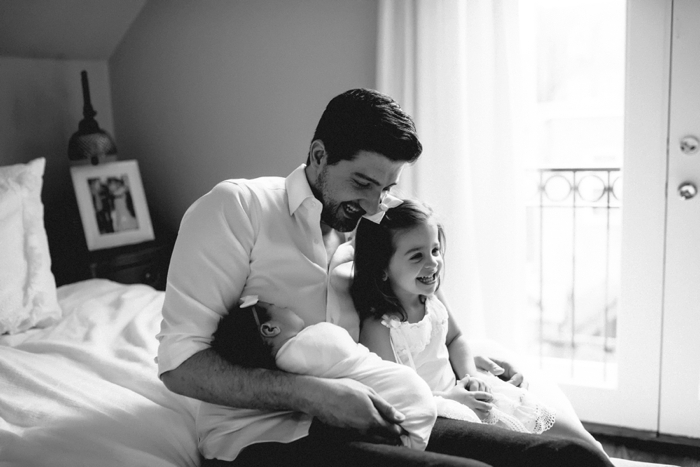 I think some of my favorite moments during this session were when I was photographing the dad with his new baby girl. We had just finished family photos in the master bedroom when mom took big sister downstairs for a snack. The room became so calm and quiet and dad was able to spend some time with Georgie alone which lead to some of my favorite shots of the session. Biggest Challenge- The biggest challenge of most lifestyle sessions is the unpredictability. 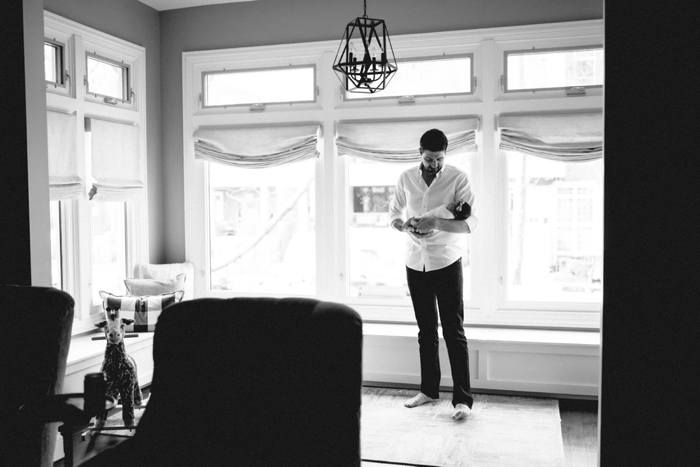 Every home and family dynamic is different, so I always try to take some time at the beginning of a session to get to know my clients a bit before bringing out the camera. I feel like this is especially important when big siblings are involved since some can take a bit of time to warm up. Final Thoughts- I don’t know how I get so lucky to work with the sweetest and most beautiful people in Chicago, but I am so thankful when clients choose me to document a little bit of their lives. 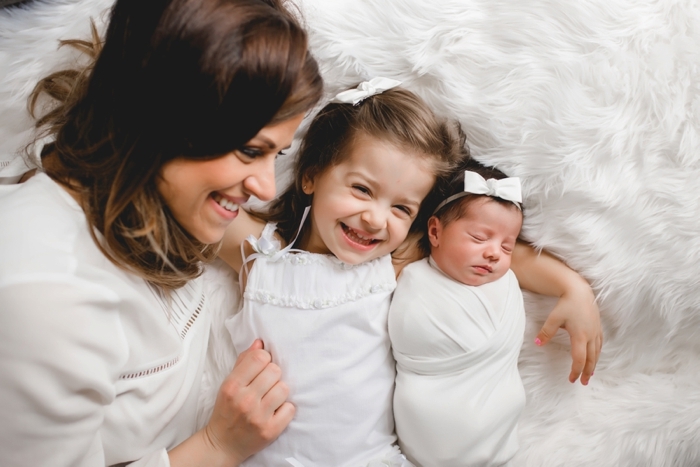 This session was full of love and light and little Georgie is the perfect addition to the family. 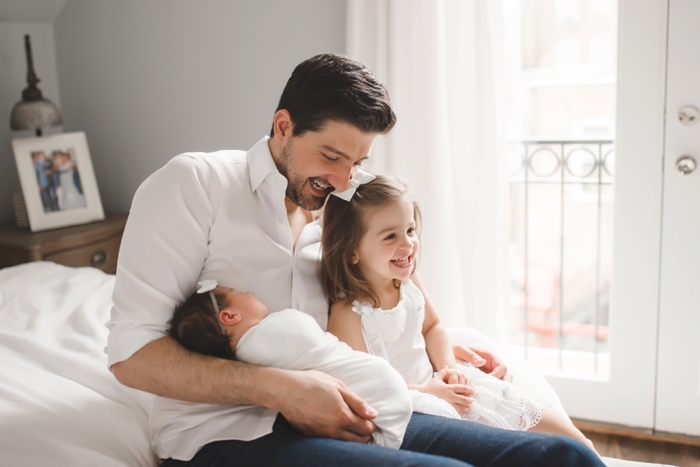 Hannah Drews Eggert is a natural light photographer serving Chicago and the surrounding suburbs. 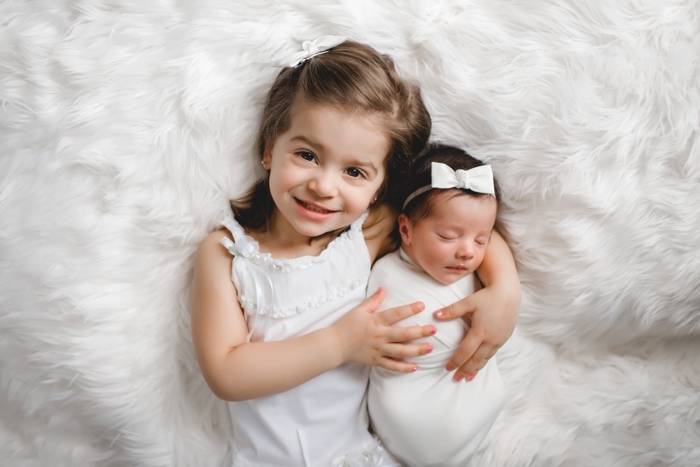 She specializes in newborn, child, and family photography and loves what she does. Hannah graduated from The University of Michigan in 2009 (Go Blue!) and moved to Chicago in 2010 to attend Loyola University, where she received a Master’s of Social Work focusing on Child Mental Health. Hannah lived and worked in Miami for a year before returning to Chicago where she began to focus on building her portrait business. Hannah’s style is often described as natural, simple, and organic and she tries to incorporate these elements into every session. For more from Hannah, and for booking inquiries, please visit Hannah’s website, Like her Facebook page, and Follow her on Instagram.